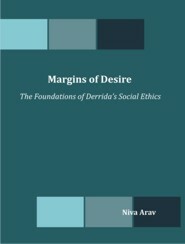 In this research, the author analyzes Derrida's understanding of the way society is created out of a collection of individuals, how the individuals preserve their singularity and freedom within a social system and the meaning of ethics, as it comes out in his early writings. In this work, the researcher used a phenomenological method of research and Cassirer's way of analyzing the symbolic forms as a framework to analyze the early writing of Derrida. Although it is not a common approach to combine Derrida's philosophy with that of Cassirer's, the researcher found that Cassirer's ideas help to show Derrida's unique position. How do drug service workers in the field of Aboriginal substance misuse describe the experience of being trained as family therapists and using family therapy in their work? The human touch: what is the value of the artist/sitter relationship to contemporary portrait painting?